Q - When is the right time to sell? - Determing the is right time to sell your Myrtle Beach real estate investments has more to do with your goals then it does the real estate market. Those who attempt to "time" the market often lose in the end. If you were selling because of a job transfer, then what the market will do next year may not matter. If you are losing money on an investment, then you may not be able to afford to hold on until the market corrects. Of course, if you are just wanting to downsize, then maybe time is on your side and you can hold off until the market improves. Remember, it is your personal situation that dictates when you sell, not the market. - Attempting to sell as a Myrtle Beach FSBO in today's real estate market will often work. The key to selling your property is to maximize your sales price. If you want to dump your Myrtle Beach condo or home, than you don't need an agent. You can easily cut your price and a savvy investor will buy it. Most sellers want to net the most money possible after the sale, and selling through a top real estate agency is the way to make that happen. We have a series of informative FSBO Videos you might want to see. Q - Are properties selling in Myrtle Beach? - This has become a common question about the local real estate market in Myrtle Beach. The answer is simple...YES! Myrtle Beach is still an active real estate market. Obviously, property values have declined over the past 5 years which has put Myrtle Beach real estate investing in the spotlight again. We are starting to see a lot of buyers that are buying condos for true second home use. They are not looking to buy and flip...they actually want to use them. This doesn't mean that the market is booming, yet it does show that Myrtle Beach is becoming a "normal" real estate market. Q - Why do some Myrtle Beach properties expire or fail to sell? - There are many reasons why homes and condos fail to sell. The three most common reasons are; poor condition, over pricing, or lack of aggressive marketing by the real estate agent. Condition... There is a lot of inventory available for buyers to choose, so those in poor condition tend to get passed over. The property does not have to be immaculate, yet if it has been beat up by a tenant then you may want to consider making improvements. Pricing... there are property owners in Myrtle Beach that are still trying to get the original price for their home or condo. You don't have to give your property away in order to sell yet you must determine the fair market value and price accordingly. If a property is at or near the fair market value then it will sell. The homes and condos that fail to sell because of price are those that have grossly priced themselves out of the market. Marketing... Selling real estate in Myrtle Beach is not like it was in 2005. The days of order-taking are gone and now it requires focus, hard work and aggressive marketing. There have been many condos and homes failing to sell in Myrtle Beach because of poor marketing. Your property can be in good condition, at fair market value, and still fail to sell if the real estate agent fails to attract buyers through marketing efforts. Q - How long does it take to sell a home in Myrtle Beach? - The time that it takes to sell a Myrtle Beach home or condo varies from property to property. The variables that affect selling time the most are pricing and marketing. The reason why foreclosures often sell so fast is because the banks are willing ton sacrifice money in order to get the property sold fast. They choose time over money. With active marketing, you should be able to sell your property in a reasonable amount of time without having to give it away. Q - Do you advertise on the Internet? - We utilize the Internet very effectively. The key to Internet marketing is in the agent's ability to convert leads to sales. Too many agents brag about how much Internet traffic they have, yet never seem to make sales. The Internet is critical for those doing business in Myrtle Beach because so many buyers start their real estate search prior to visiting. We are proud of our ability to convert Internet leads to happy purchasers. Q - Do you believe in Open Houses? - Holding an Open House in Myrtle Beach can sometimes be effective. It has been proven that an Open House doesn't often result in a sale of the home, yet it does give the home exposure to more people. There are ways to drive traffic to your Open House, but it takes some work from the real estate agent. If the agent is going to show up, plop a sign in the ground and sit for a few hours then don't waste the time. We have a specific plan for Open House marketing that will increase your chances of selling by 5 times. Q - What are the closing cost to sell real estate in Myrtle Beach? Q - Why do I have to pay for a termite inspection if my condo is located on the 14th floor of a concrete building? - This is a great question that I have no perfect explanation for. Any time a bank is involved with the purchase of a property, they require to see a "CL100" which is clear and free of active termites. The CL100 is a fancy term for a termite report. The costs of this report typically ranges between $85-$100 and is a standard closing cost of the seller in South Carolina. Q - Why would I buy a Home Warranty for the buyer? 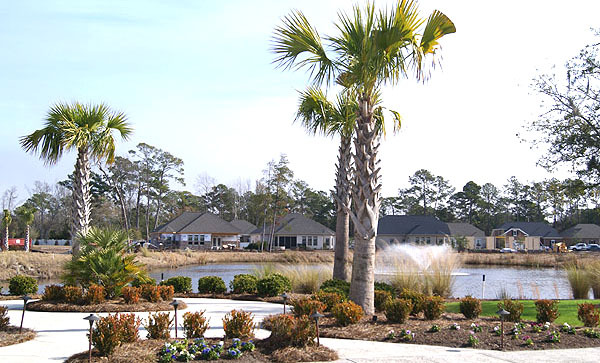 - There is a lot of competition of new homes for sale in Myrtle Beach. The prices of the new homes in our market are often similar to the prices of a resale. The advantage of buying a new home is that most things are covered under a builder's warranty. In order to compete with the builders, it is often a good idea to offer a home warranty to give the buyer peace of mind that if things go wrong in the first year then they have a warranty policy to cover most of the costs. Buying a home warranty is not required, yet it may serve as a good selling tool to make you stand out from your competition. Q - Why should I pay closing cost for the buyer? - You don't have to pay closing costs for the buyer. In the event that you are asked to pay closing costs, then remember to consider this in the price you negotiate. You may pay closing costs if they buy your home for $200,000 - and you may not pay closing costs if they are only willing to pay you $194,000 for your home. Focus on the net after all closing costs are paid and if you can net the number that you need, then go for it. It's always about the net proceeds after closing. Q - When will the Myrtle Beach real estate market rebound? - Where's my crystal ball? None of us know when the market will turn around for sure but there are some things that you must always look at when making your selling decisions. Is the supply increasing or decreasing? Are sales rising or declining? Are days on the market going up or down? Are there more foreclosures and short sales or are they on the decline? Like all real estate markets, Myrtle Beach is controlled by supply and demand. When you need this information, give us a call and we can provide the answers to these questions which will help us decide if it is time to make your move. Q - Are there any buyers for all of these Myrtle Beach condos? - Yes! We have buyers for condos and homes in Myrtle Beach. The buyers are cautious and often need to see more information before they make their decisions. Yet they are here and they are buying. Nearly 42% of all buyers are paying cash for oceanfront condos in Myrtle Beach. Q - Are foreclosures starting to decline? - We have seen a decline in the number of foreclosures listed for sale on the market. At the same time, Myrtle Beach short sales have increased. So, there are still a lot of distressed properties for sale, yet the property owners in trouble are attempting to take care of their problems prior to the bank foreclosing. Q - Are banks approving short sales for investment property? - We have closed short sales for all types of properties. Condos, homes, land, and commercial, are all properties that the banks are considering. Of course, the banks must see a hardship before they will give an approval, yet the type of property you have is not an issue. Q - How does a short sale work? - The answer to this question is best done over the phone or in person. There have been a lot of short sale approvals in Myrtle Beavh yet each one is unique dependant on the owner's situation. Feel free to ask any of our agents how it works and if you have a chance to qualify. Q - How does Century 21 The Harrelson Group compare to the other real estate offices in Myrtle Beach? - Century 21 The Harrelson Group is the leading company in sales of all Myrtle beach real estate companies for number of sales. In other words, we help more buyers and sellers then any other company in the area. Our agents study the real estate market very carefully to assure that you get the most current and accurate advice possible. We are committed to serving the consumer so you can call us anytime for questions and never be pressured to buy or sell. Q - I want a Full Time Agent working for me, how would I know which agent works Full Time? - All of our agents are full time. We know that real estate sales on average is often the largest financial transaction that one will engage in so we believe that you deserve an agent that is willing to make real estate their full time career. You wouldn't want a part-time heart surgeon to work on your heart, and you don't want a poorly trained part-time real estate agent as your Myrtle Beach Realtor.